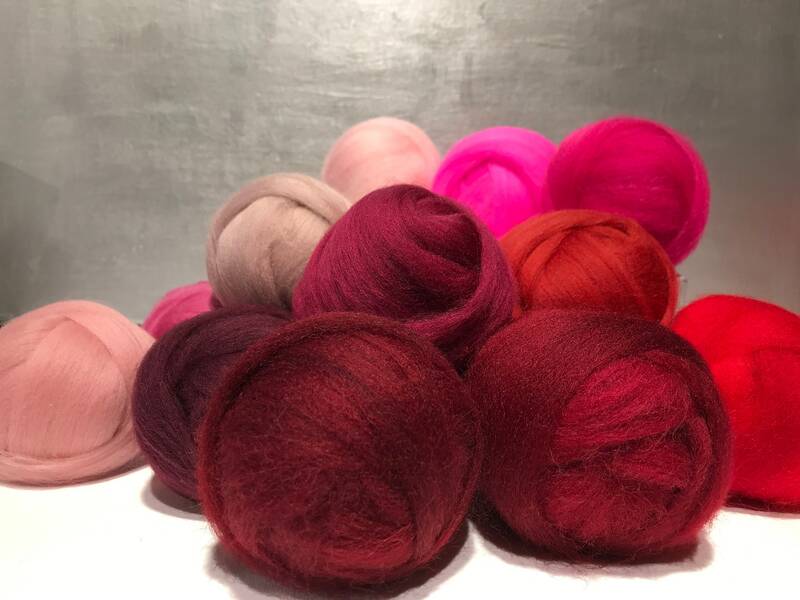 This unique Valentine Sampler gives you 6 or 12 of Wildethyme's favorite reds and pinks in .5 ounce roving balls! 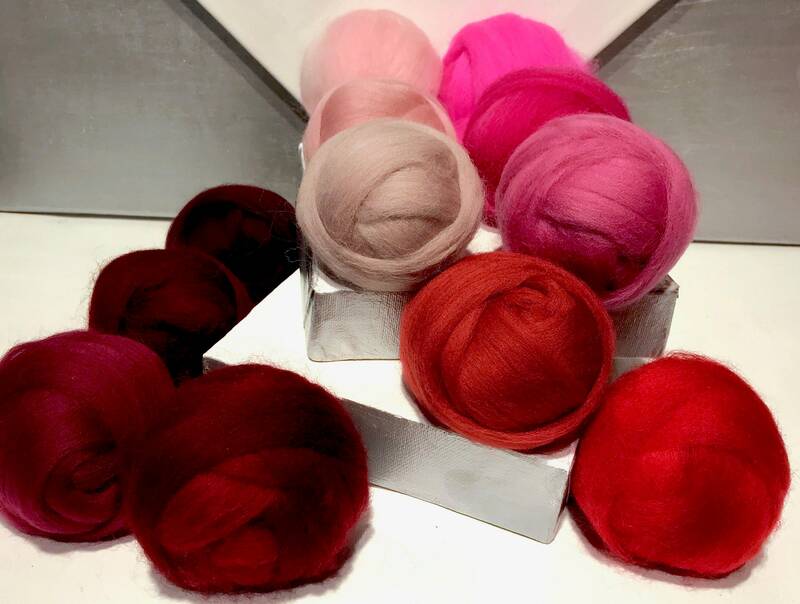 They are so pretty, you won't want to unroll them! 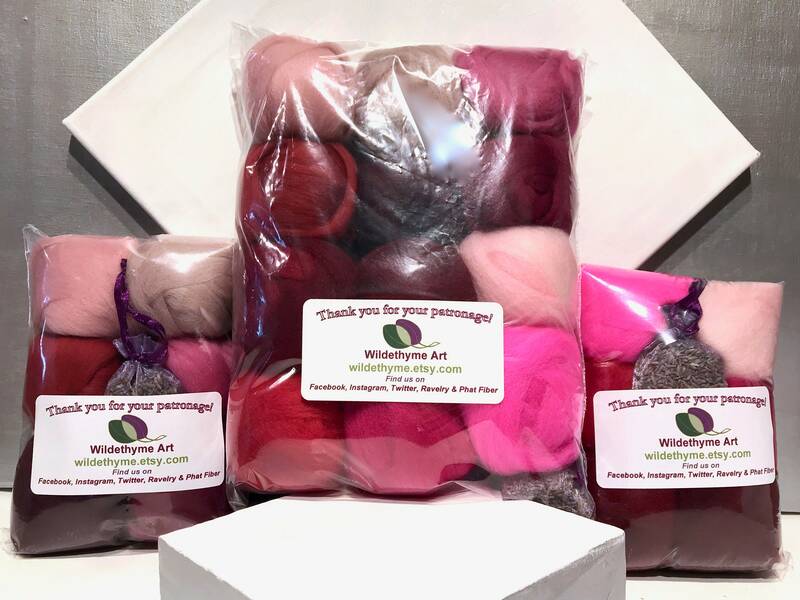 Perfect for gifts or just for you. 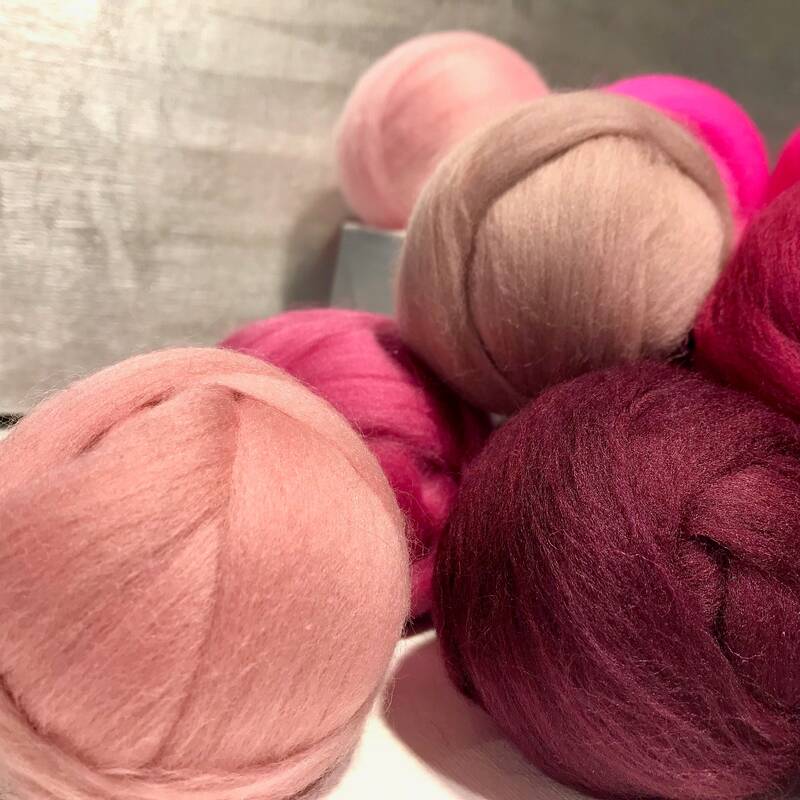 -- .5 ounces of Corriedale Cross and/or merino roving x 3 = 3oz OR go for broke and save a dollar on all 12 = 6 oz fiber yumminess! 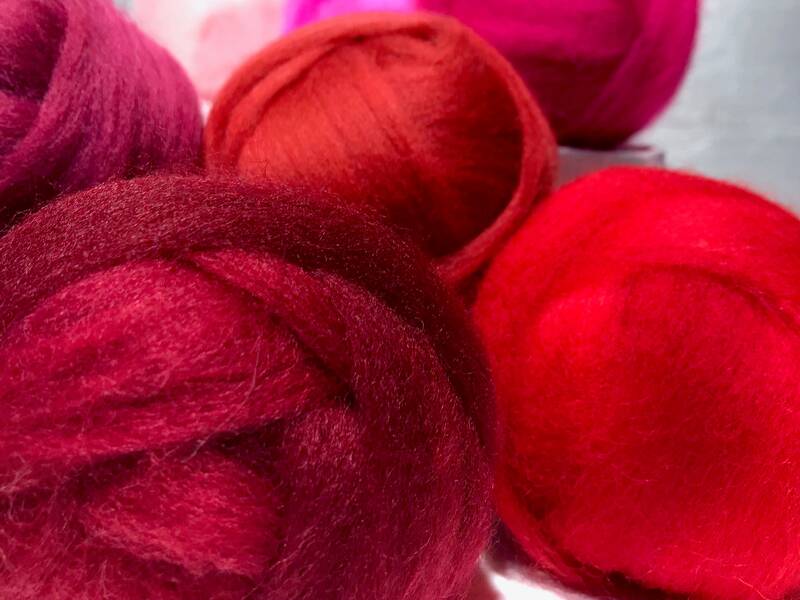 The following colors are included. 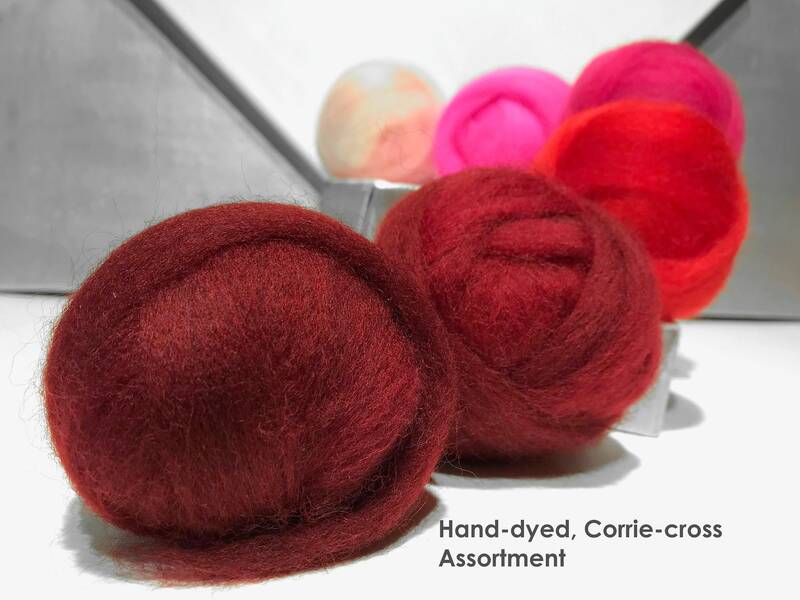 Corriedale Cross is hand dyed in small amounts at a time and will vary from lot to lot. Some variegation also occurs within each color. 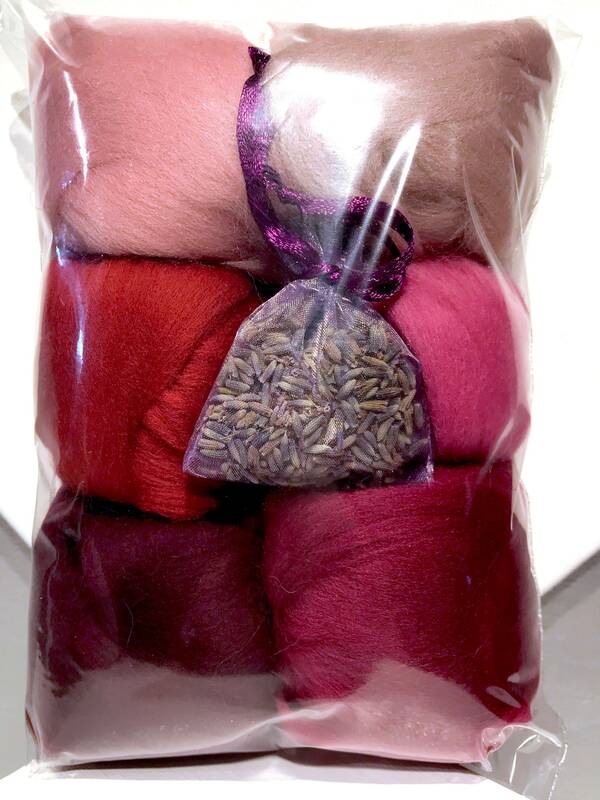 *We ship/store our wool products with lavender. Please let us know if your allergies are an issue. Rose or cedar options usually available as alternatives. 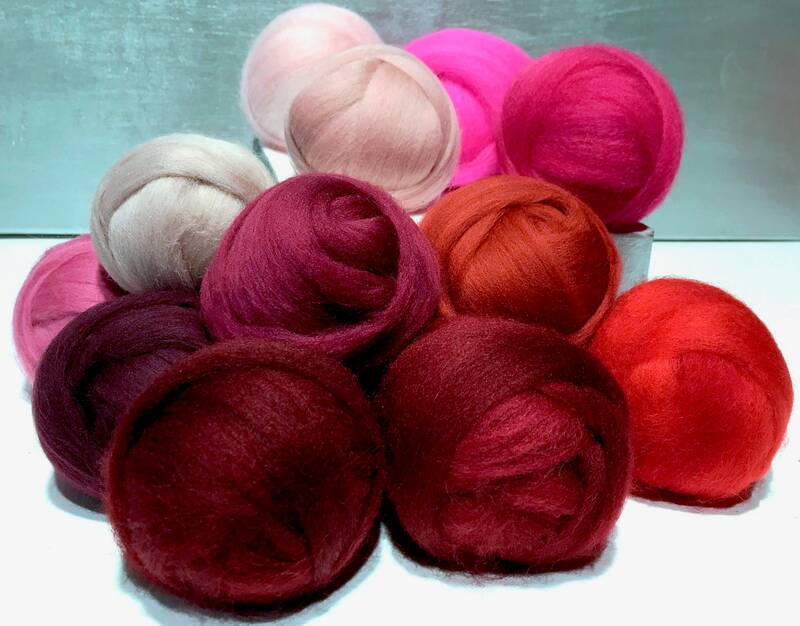 We have, on average, over 50 rovings and 70 batts to choose from—check us out!